You see it all the time, in every town in America—another local favorite has closed its doors, while a big-box store or chain restaurant pops up in its spot. Even as the economy recovers and initiatives are taking place to support and rejuvenate local, small business owners, it’s still a challenging time. The independent hotel sector is at the beginning of a boom, but independent hotel operators face many of the same pressures as your favorite local store. Travelers are beginning to place more value on authentic experiences, personalization, and local culture—hallmarks of the independent hotel experience. And yet, even with the change in preference and a solid economic forecast, some independent hotels, like your favorite mom and pop shops, are choosing to reflag and rebrand as part of a chain, a change that brings about a profound loss of cherished traditions and artistic innovation. Take the story of the former Peabody Hotel Orlando, which was purchased in 2013 and subsequently reflagged as the Hyatt Regency Orlando. Built in 1986, the Peabody Hotel Orlando was the second hotel under the Peabody Hotel brand, a company made famous by their “Walking of the Ducks” tradition – a twice daily march by the resident fowl down the red carpet to the lobby fountain. The Peabody Ducks tradition was inadvertently started in the 1930’s by Frank Schutt, General Manager of The Peabody Memphis and a friend, after enjoying a few too many cocktails upon returning from a hunting trip. The fellas thought it would be funny to put live duck decoys into the beautiful lobby fountain—and what do you know, it was a hit! 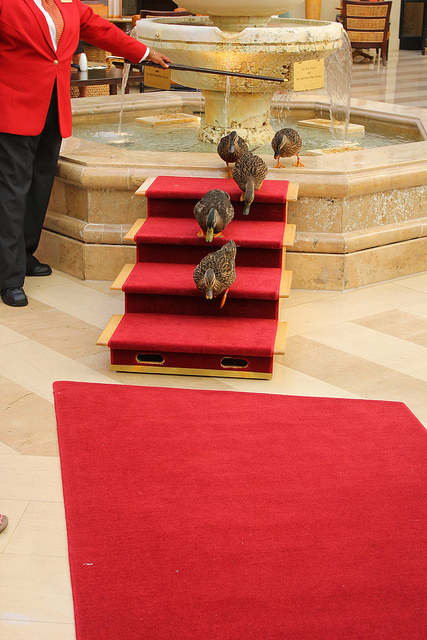 In 1940, a bellman and former circus trainer taught the ducks to march, and voila – the March of the Peabody Ducks was born. Across the country in San Jose CA, another beloved hotel known for its truly remarkable, distinctive atmosphere, is facing a similar fate. 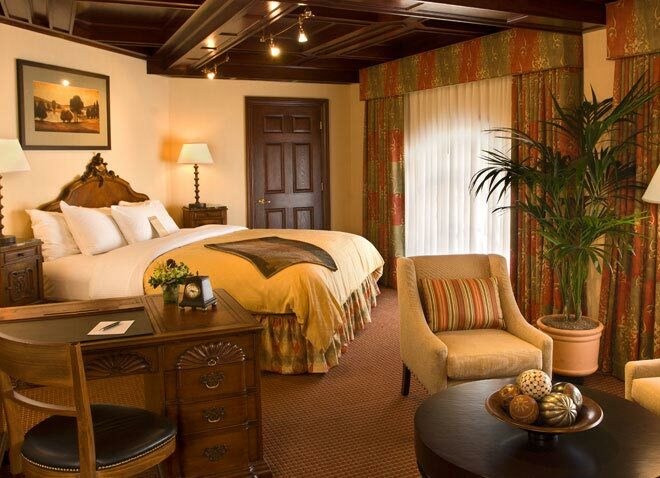 The Sainte Claire Hotel, a historic, landmark hotel in San Jose, was purchased in 2012 by Starwood Hotels & Resorts. Currently undergoing renovations, the Westin San Jose is set to debut in mid-2015. 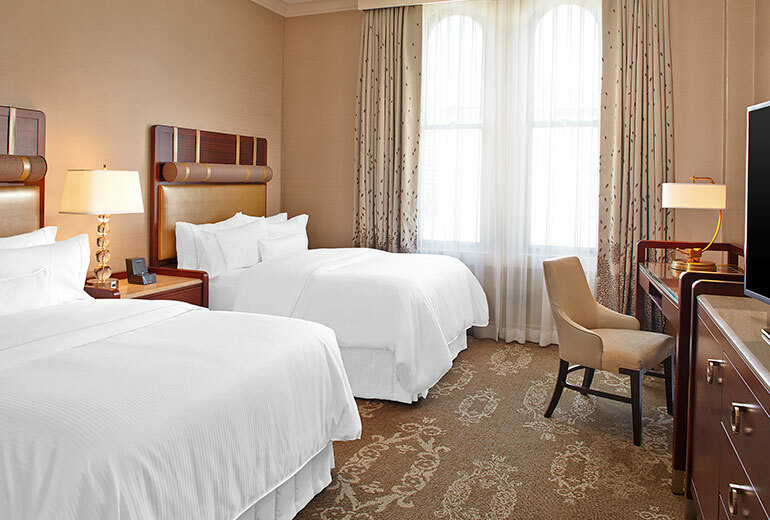 According to a press release issued by Starwood at the time of purchase, “The hotel will undergo a comprehensive renovation prior to flying the Westin flag and will feature the brand’s historic hotel design scheme”—a statement that leaves us wondering how the Sainte Claire’s own historic design scheme will fare. Designed in 1926 by famed San Francisco architecture firm Weeks and Day, the Sainte Claire is a testament to Renaissance Revival architecture. Coffered lobby ceilings, ornate hand-carved wood doors, and original bathroom fixtures are just a few of the historic design elements kept intact at the Sainte Claire. 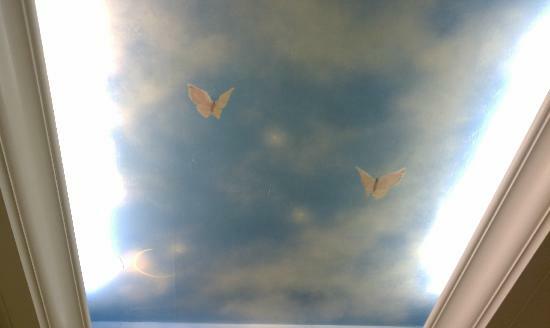 The true shining star of the hotel’s design are the intricately painted ceilings found in the guest bathrooms featuring butterflies, angels, and other ethereal creatures. 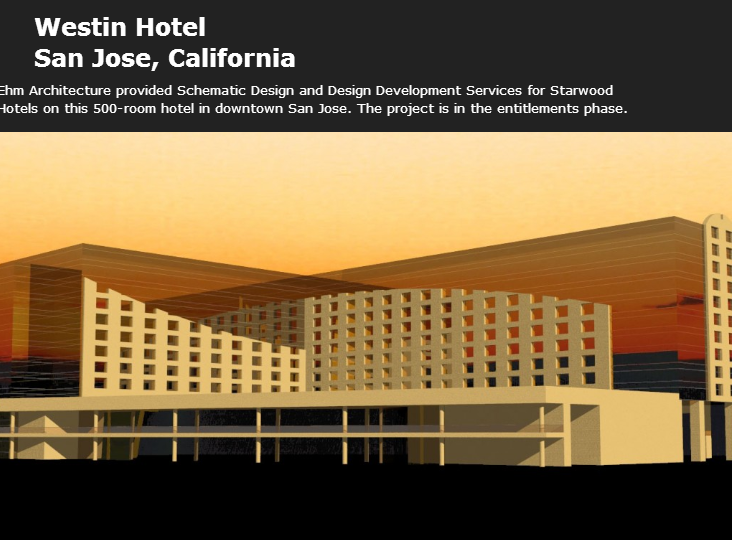 While Westin claims their renovations are meant to enhance and highlight the historical design elements of the hotel, the soon-to-be Westin San Jose’s website and room renderings would suggest otherwise. Every time a small business closes its doors, or an independent hotel like the Peabody and the Sainte Claire reflag as a chain, a little bit of history is lost, a little bit of what makes the area stand out loses its color, and depending on the situation, you may have lost your favorite morning tradition. A sad day indeed for those who appreciate the intricate details, the friendly “Hello” from your favorite Duck Master, and the reassurance that your experience is truly one-of-a-kind. We can’t promise ducks, but only true independent hotels can be part of Stash Hotel Rewards. Find your new favorite hotel.